This is the Lonsdale Quay/Seabus View of Vancouver. 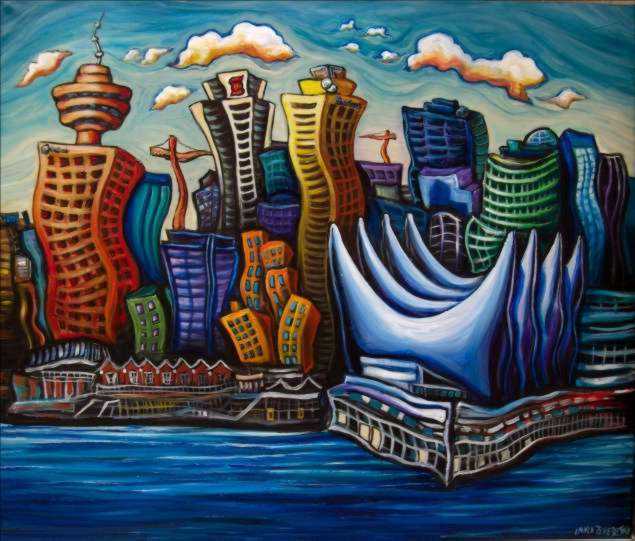 The classic Vancouver elements are the sails of Canada Place as well as the Sears (Harbor Center) tower on the left. I took a lot of liberties with the overall architecture as well as with the colors, which I wanted to be crayon-bright.